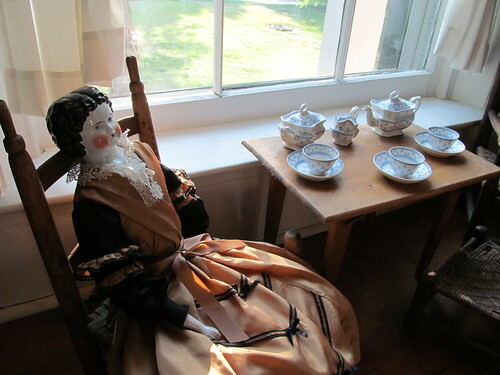 The beloved tradition of our annual Mother-Daughter Tea returns to The John Wornall House Museum. Are you a fan of Meg, Jo, Beth and Amy? Share a once in a lifetime experience with your mother, grandmother and/or daughter during our Little Women-themed Tea. Cost: $25 per Mother-Daughter pair ($5 for every extra person). There will also be a few beautiful raffle items. To purchase tickets, click here for online registration or call (816) 444-1858. RSVP required. This is a good opportunity to put into practice things learned in Social Skills & Etiquette, but it is also a great time to show your mom some appreciation. Children and parents are invited to be part of monthly interactive story times presented by the Coterie Theatre. Coterie Theatre artists read from favorite children’s books while audience members enjoy an opportunity to “jump into the story” and then participate in an improvised story of their own making. May’s event features We Had a Picnic This Sunday Past by Diane Greenseid. We’ll have a performance stage, hands-on workshop area and games, environmental information tables and refreshment area. Why: Our goal is to bring awareness to environmental issues in our own area and to provide realistic opportunities for change and involvement, while exposing our audience to a broad range of ARTISTIC mediums; puppetry, theater, music, dance and sculpture. This interactive project will enable community members of all ages, races, and socio-economic strata to become a part of the art of puppet-making and performance while celebrating the environment, and reminding the community as a whole of our impact on the world in which we live. The giant puppet show is at 2 p.m. Consider this for both Puppetry and Caring For My Environment.